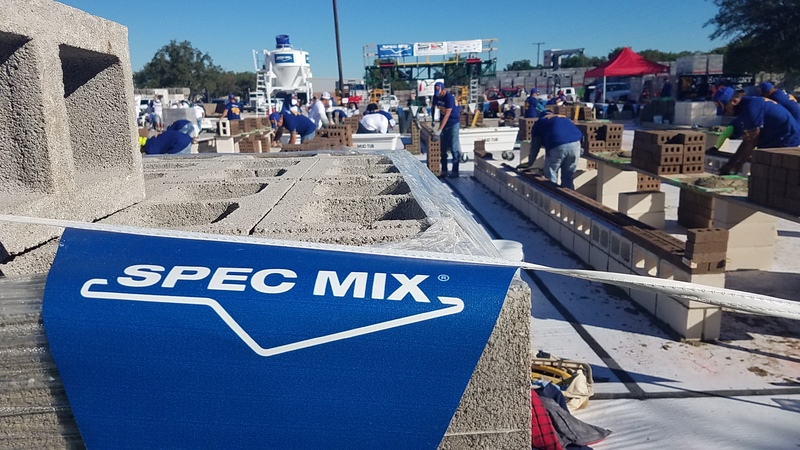 Dallas, TX —The 2018 SPEC MIX BRICKLAYER 500® Regional Competition for DFW / North Texas was held at Featherlite Block, in Dallas, TX on October 11, 2018. 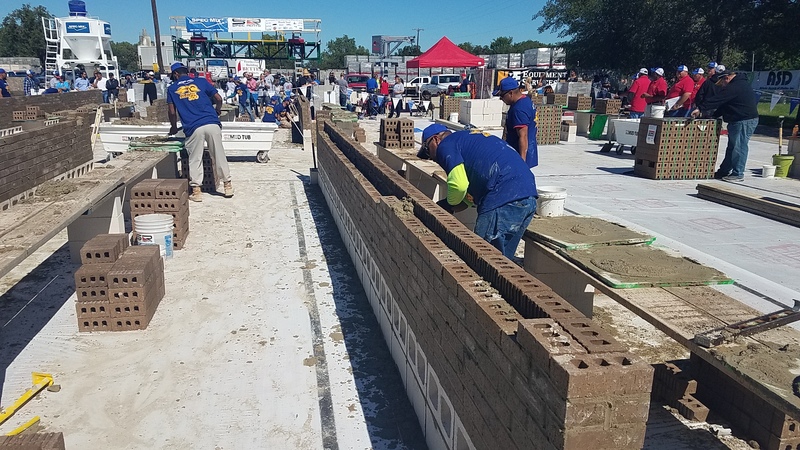 11 teams of brick masons and tenders vied for a competition spot in the 2019 SPEC MIX BRICKLAYER 500 World Championship Competition held in Las Vegas, Nevada. 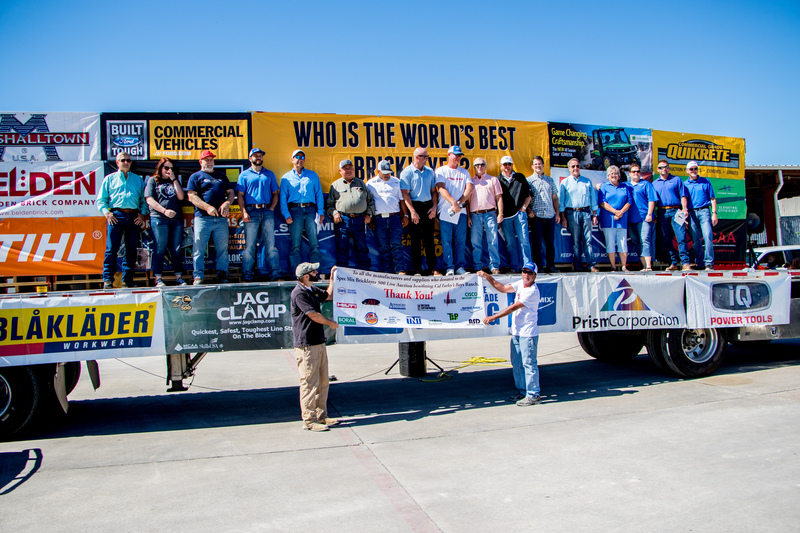 There, they will compete for a chance to win over $125,000 in cash and prizes, including a Ford F250 XLT 4X4 truck and John Deere Gator. 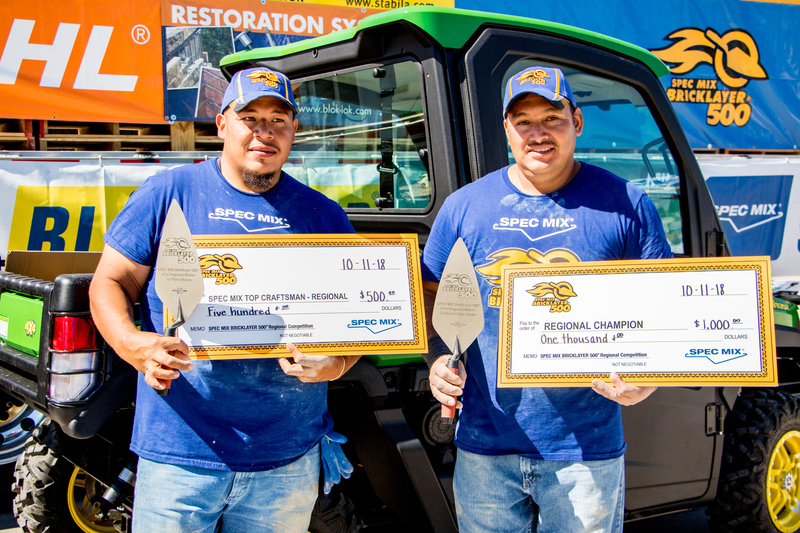 Jose Mario Landeros, a mason with Artisan Masonry, of Royse City, TX, and his mason tender Adolfo Gonzalez, edged out the rest of the competition to take home first place. 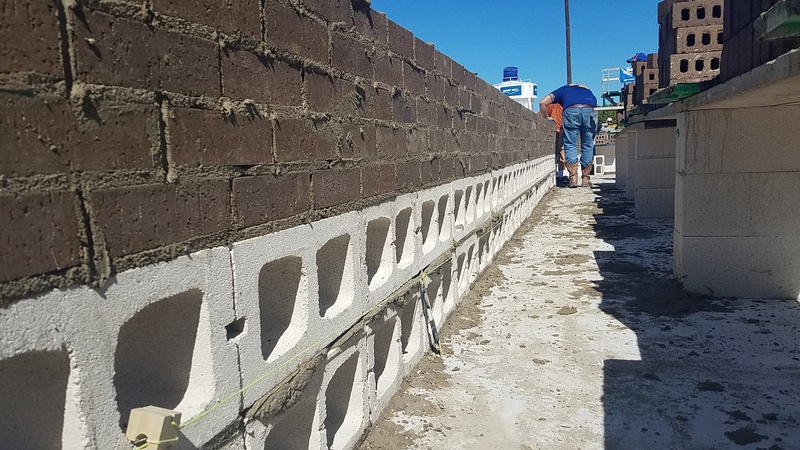 Their net count of 618 brick got the job done. 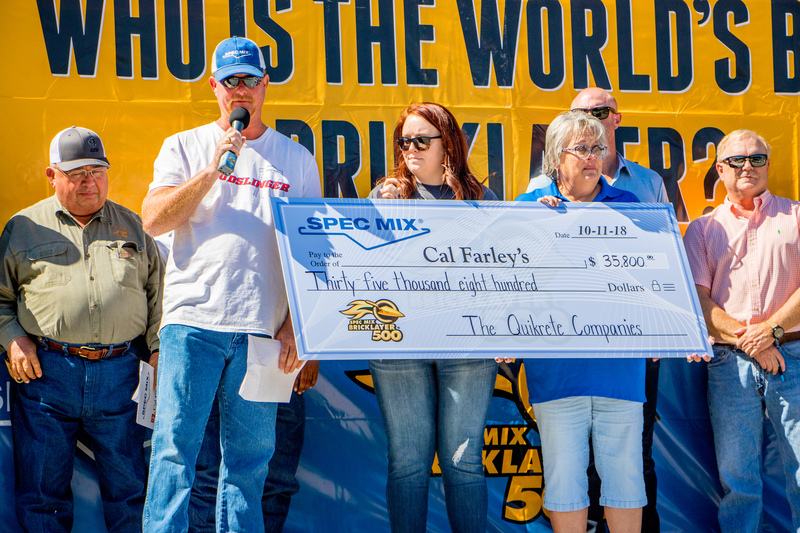 Not only did first place carry the opportunity to compete in the 2019 SPEC MIX BRICKLAYER 500 in Las Vegas, but it also came with $1,000 cash. 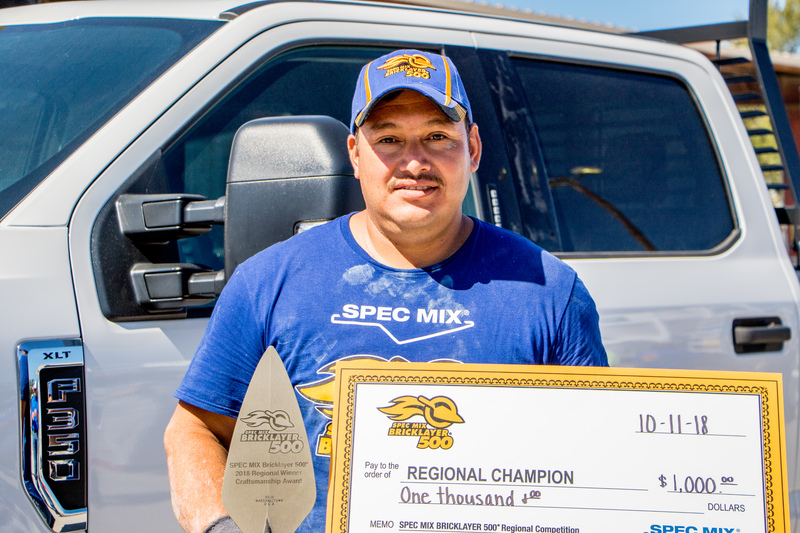 The SPEC MIX TOP CRAFTSMAN Award, which goes to the mason with the “most sellable wall”, also went to Jose Mario Landeros and his mason tender Adolfo Gonzalez of Artisan Masonry. 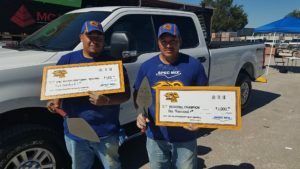 This title earned them an additional $500 in cash. 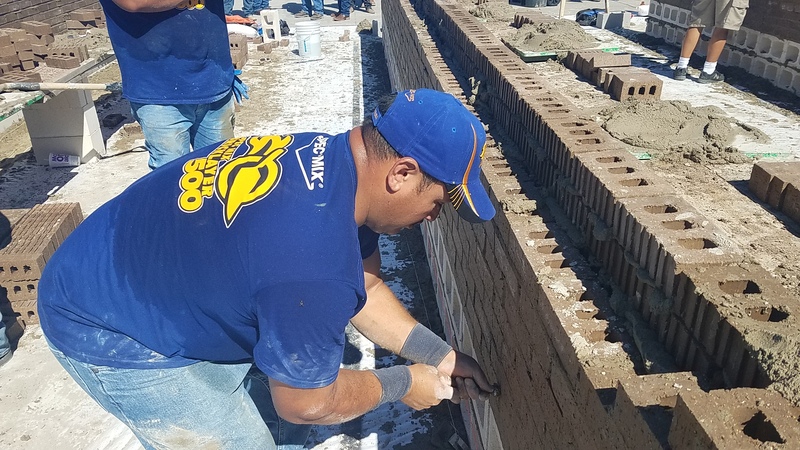 Maurilio Montero, of DMG Masonry, Arlington, TX and his mason tender Gregorio Hernandez took second place with a brick count of 460 earing them a prize of $750 cash. 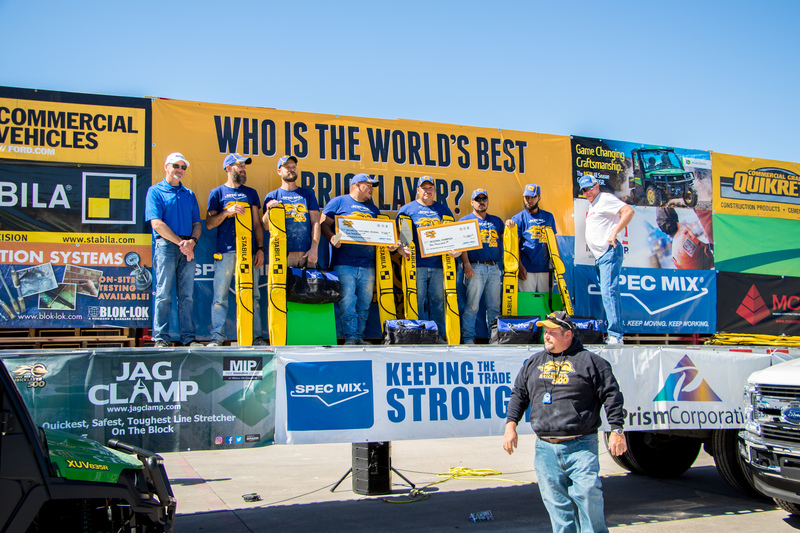 Third place went to mason Justin Pierce of RP Masonry, Mansfield, TX and his mason tender Michael Pierce who received $500 cash. 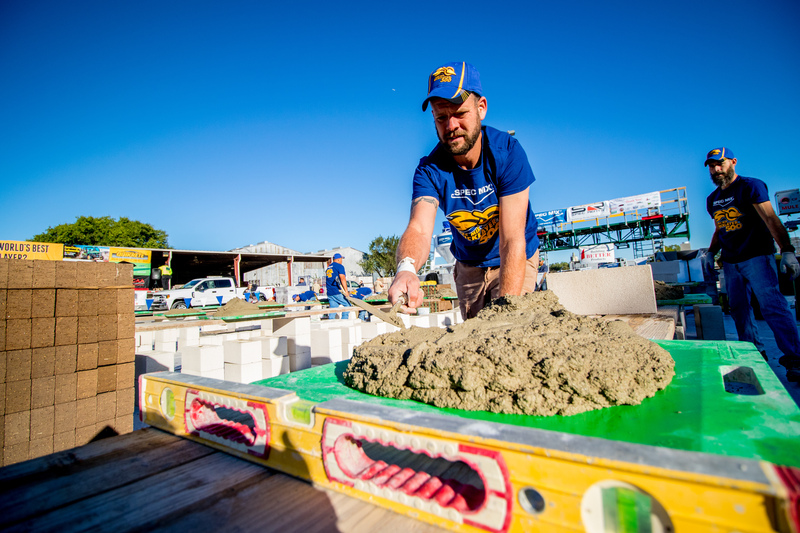 The highlight of the event wasn’t announcing the winners, however. 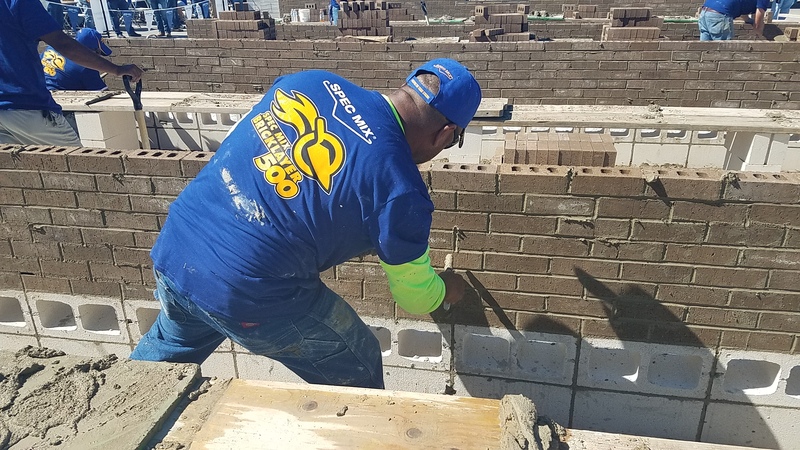 This year, SPEC MIX hosted a special masonry auction in honor of local Texas masonry legend, Mike Blackburn, benefiting the Cal Farley’s Boys Ranch. 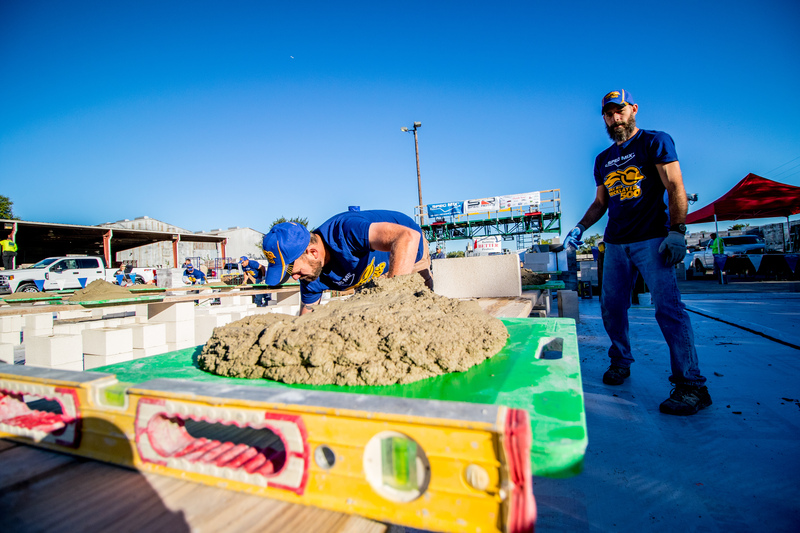 The masonry community came out in full force and raised $35,800 by bidding on from everything from CMU units to gift cards. 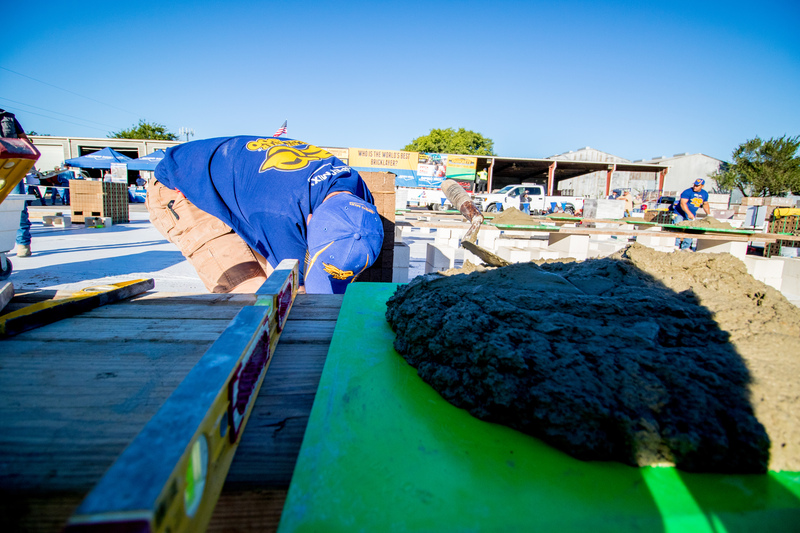 Read more about the auction here.